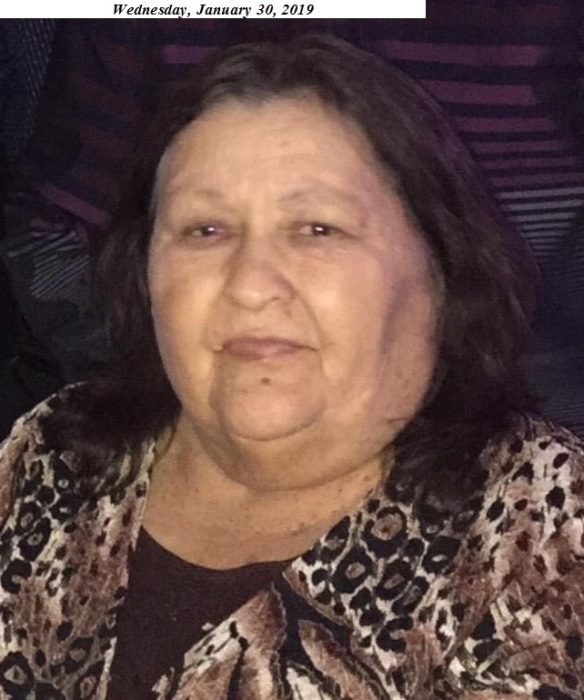 La Joya - Evangelina M. Flores, 69, entered eternal rest on Tuesday January 29, 2019 at McAllen Medical Center. She was born on Thursday July 21, 1949 in Los Ebanos, the daughter of the late Vicente and the late Aurora (Garcia) Mendiola. She is survived by her husband: Roberto Flores; children: Rolando Flores, Aurora Flores and Roberto Flores; two sisters: Sylvia Mendiola and Aurora Mendiola; four brothers: Marco Antonio Mendiola, Marcelino Mendiola, Amando Mendiola and Vicente Mendiola; grandchildren and great-granchildren.